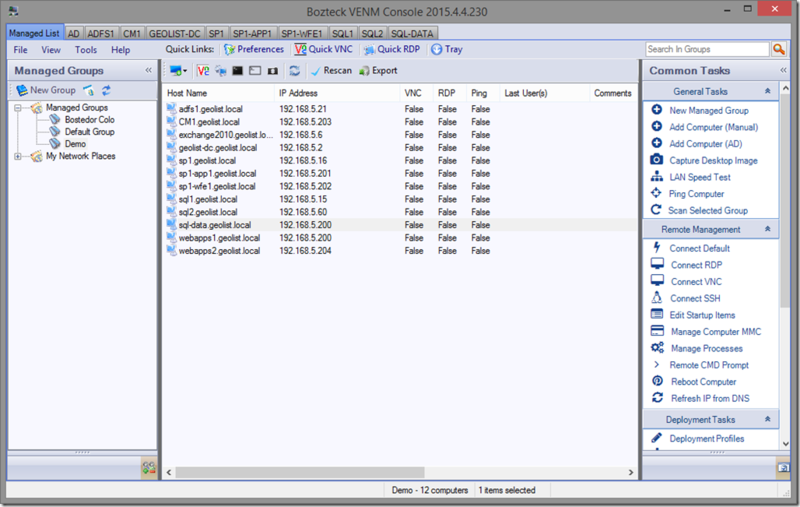 While managing remote desktops in Bozteck VENM, you previously could only create up to about 6 sessions before being presented with a tab containing a blue background and the error code 3334. 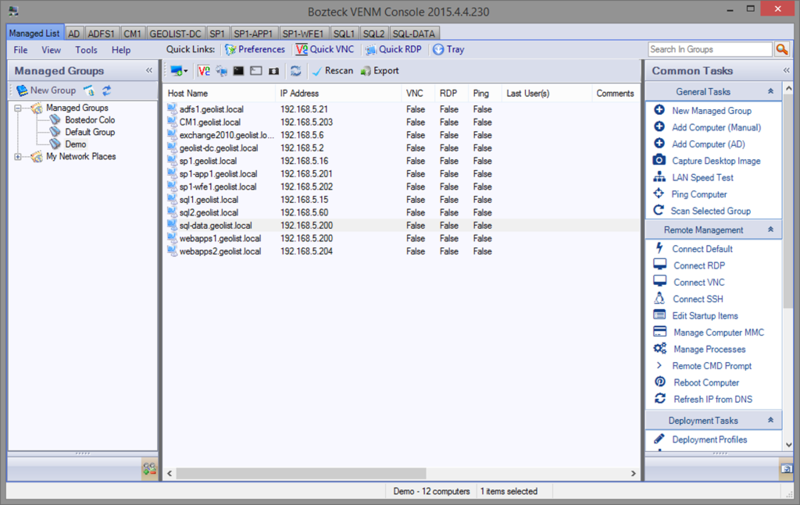 The remote desktop pieces of VENM operate in 32 bit and the operating system limits them to only 2 GB of memory space. We needed release a new build that allows executable access to the full 4 GB of memory space so that more tabs could be created. The VENM console will not actually use that much memory, it only needs access to the large memory space required to address the controls. This limitation has been removed as of version 2015.4.4. We highly encourage everyone to upgrade to this version as soon as possible. Thank you Erik G for reporting this to us! You can download the fixed version here. This entry was posted in Releases and tagged 3334, bozteck, RDP, remote desktop, venm. Bookmark the permalink.